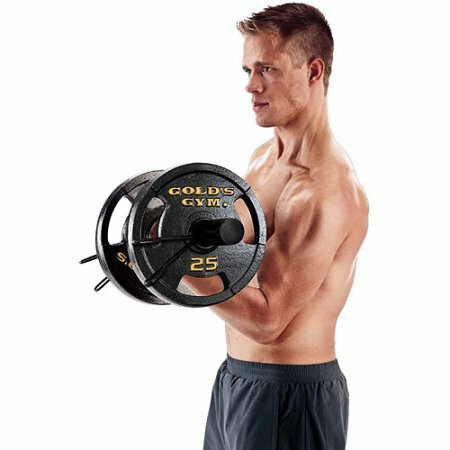 Keep yourself fit and toned with this Gold's Gym 50 lb Olympic Grip Plate Set. This set is designed to help strengthen the upper body and is convenient to use in the comfort of your own home. This pair of 25-lb weight plates is made with a unique grip-plate design for easy control and handling and is constructed from cast iron for durability.